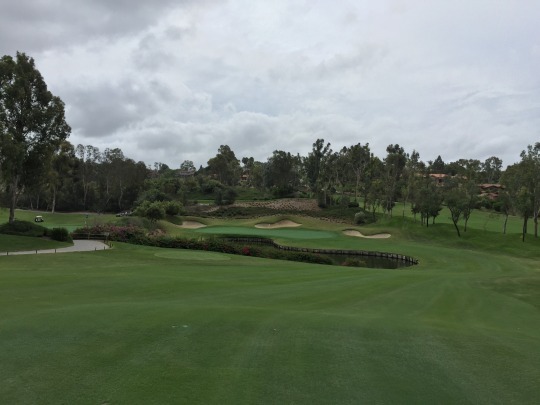 On Monday, I headed back down to Rancho Santa Fe, which is an area I’ve had the fortune to visit numerous times over the past few months with rounds at Morgan Run, Santaluz and Fairbanks Ranch. I’ll be back there soon to check out another couple of private courses, so stay tuned. Anyway, this last visit was for a round at The Farms Golf Club. 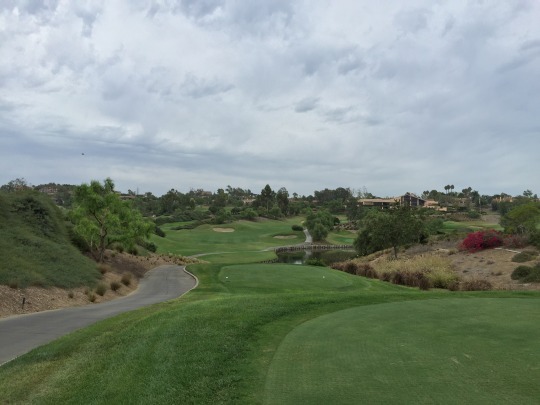 It was another SCGA member outing and I was happy to sign up to play this course that always intrigued me. 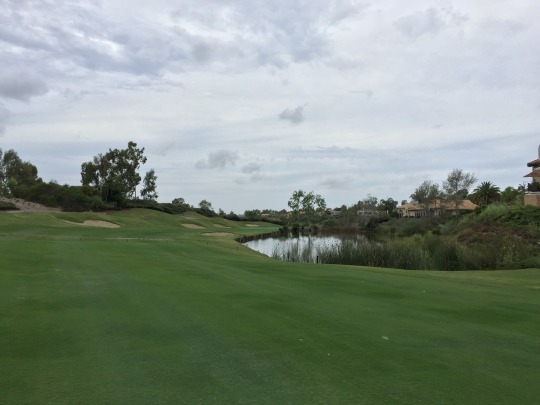 I’ve made it pretty clear on this blog over the years that I am generally a pretty big Pete Dye fan, and The Farms has its roots in Dye design. 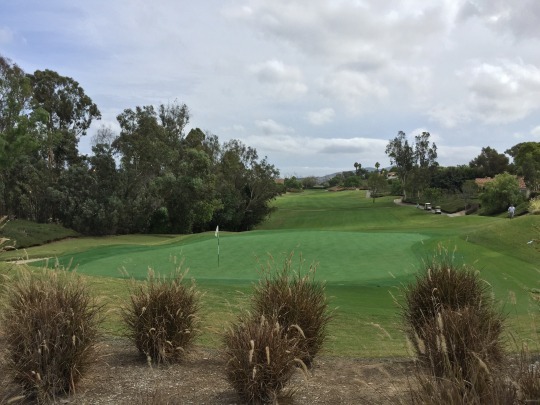 The original course was designed by Pete, Alice and Perry Dye, but then it was renovated some years later by John Fought and Tom Lehman. I know they rebuilt all the greens, but I am not sure what else changed in terms of the layout. It sounds like it was “softened” somewhat to make the members happier. As it sits now, The Farms is still very much in that original Dye style and I can’t imagine anything major really changed in the renovation. It is still very challenging, fun and diverse, offering up all the signature elements you come to expect from Dye. That made me happy because I ended up really liking the course a lot. 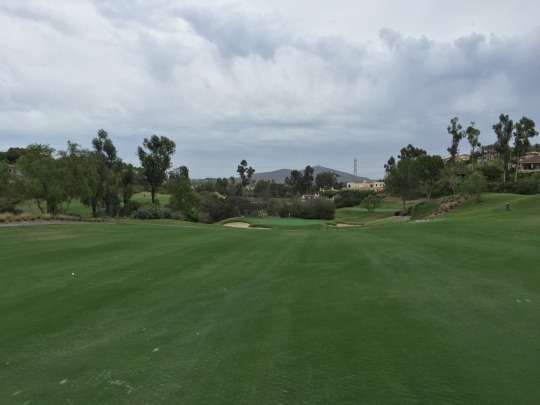 No two holes feel the same and each offers a different strategy. 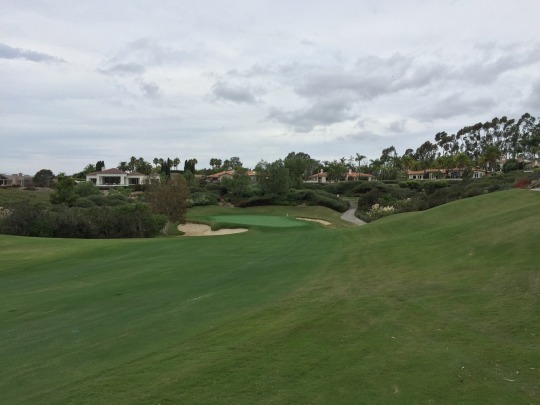 It is the type of course you probably need to play a bunch of times to really figure out how to play it well, and it’s definitely set up for member play with minimal yardage markings and subtle tee box signs despite some tricky routing at times. The layout is rather hilly and there aren’t too many flat lies out there. 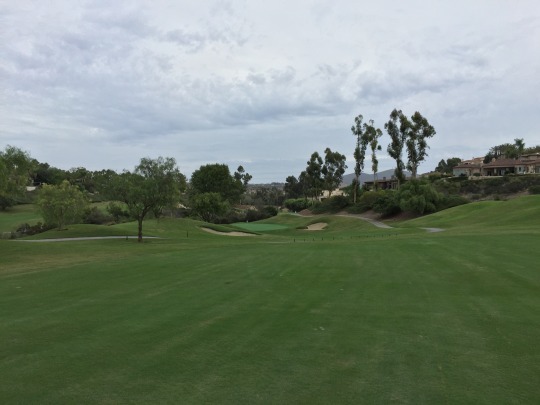 Many tee angles feel tight and there are numerous semi-blind shots throughout the course, but most of the fairway landing areas are pretty generous once you get out there. 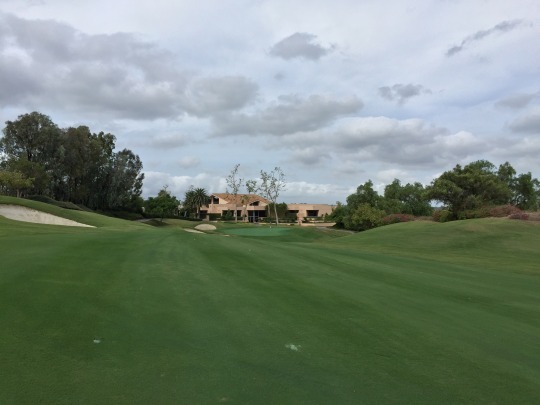 Most of the greens are elevated and very well protected with deep bunkers, collection areas and big mounds/shelves. 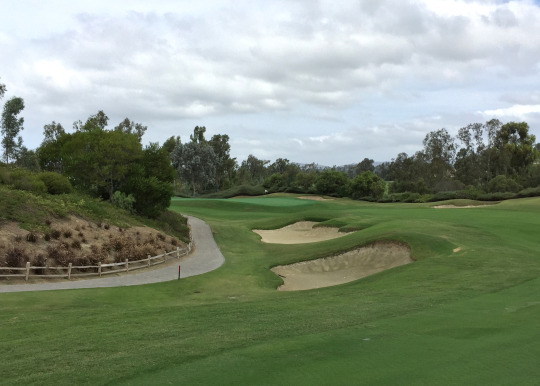 There are many great holes at The Farms, but what really stood out to me was the set of par-3s. 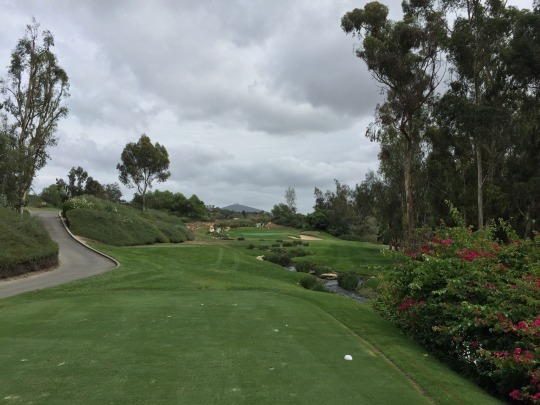 This is one of the best collections I’ve played in Southern California. 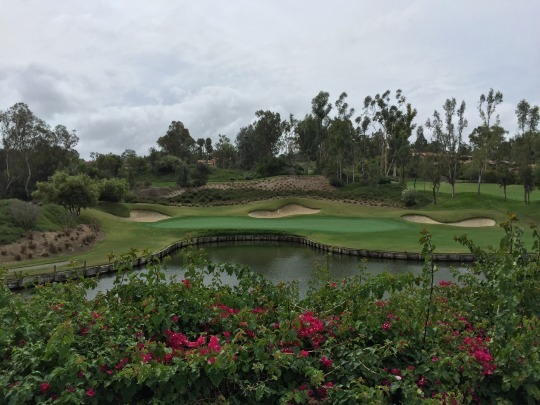 Each one feels like a signature hole with nice landscaping and intriguing designs, but each offers something different. 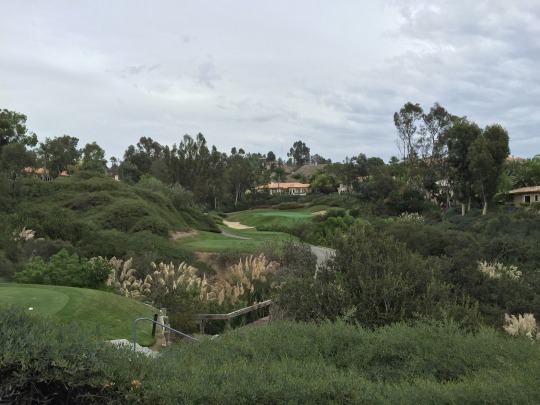 The 2nd hole is stunning, set back along the edge of the property with a forced carry over a canyon ravine. The 6th may have been my favorite with a slightly elevated tee and a real Dye-ish green complex. 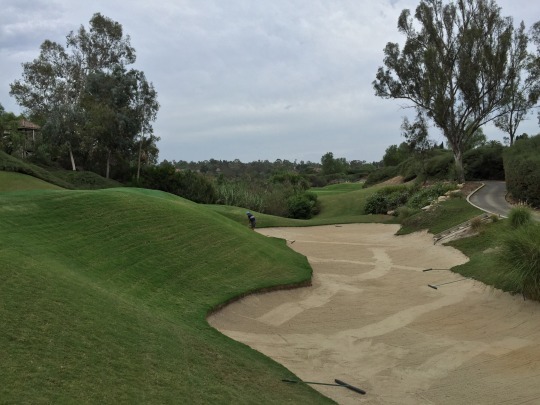 Short and left of the deep green is a huge steep shelf and massive bunker that is reminiscent of the famous San Andreas bunker at PGA West. 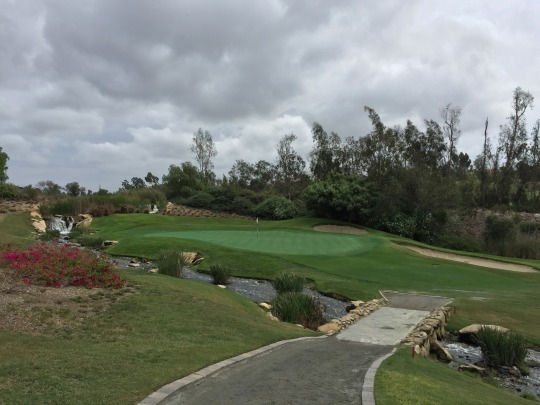 The 14th isn’t as difficult as the rest, but it is very pretty with a creek running up the middle from tee to green and a little waterfall up by the green. 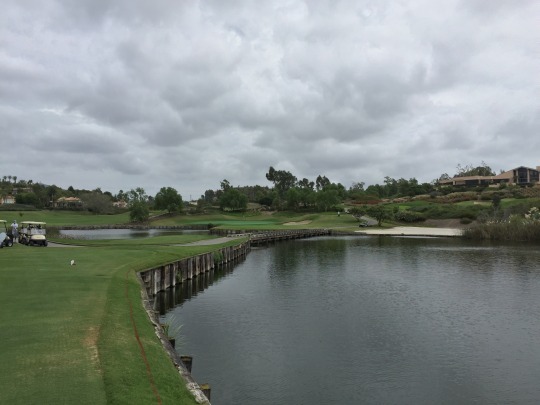 Last but not least, you have the 16th, which is more your prototypical Dye kind of look with a big water hazard in play and the wooden ties around the edge of the green. 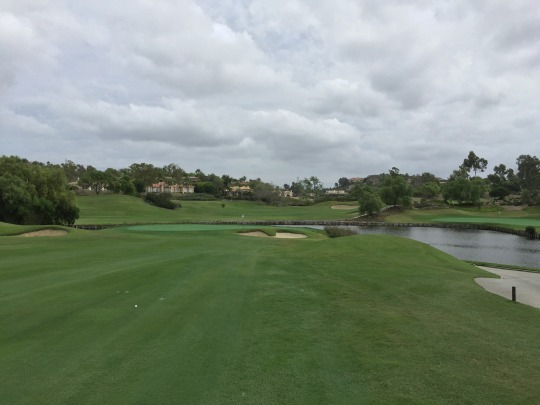 From the tips, it plays at 220 yards and is directly over the water. 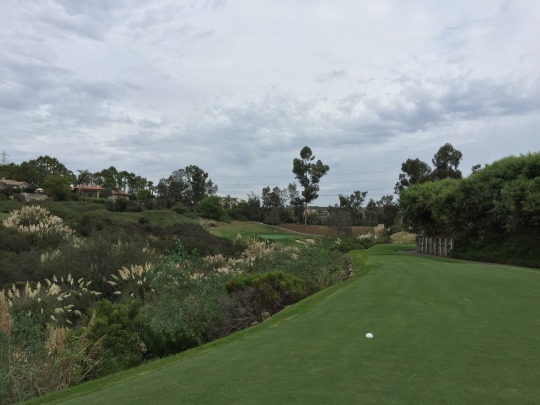 We were playing the blues all day, which would be 185 yards on this hole. However, Acura was sponsoring this outing and this was the hole-in-one challenge hole (free 3-year lease on a car to anyone holing out). 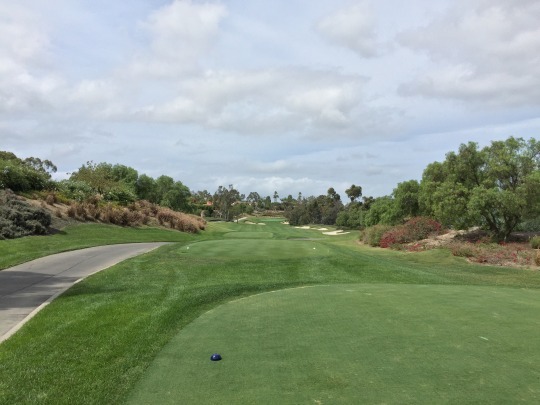 So, we moved up to the white tees for this hole only since that was the official teeing ground for the challenge and playing at 174 yards. 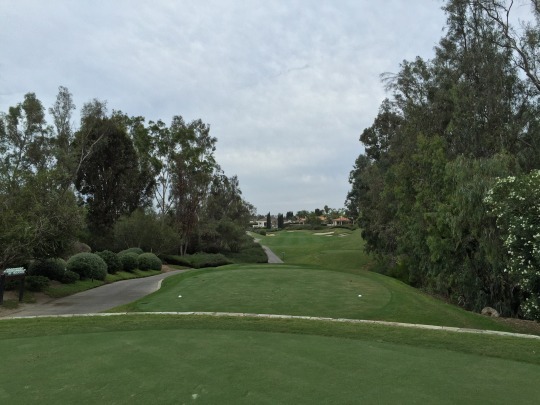 Still, nobody made it or won a car, but it is always fun to try, especially on an intimidating hole like this one! 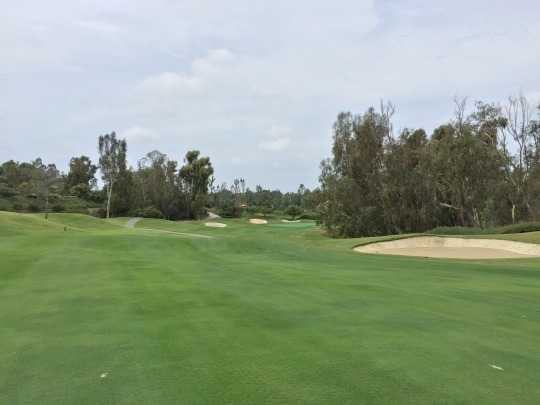 Overall, the course was in great condition—well, kind of. The greens were exceptional. They were soft and receptive, yet fast and super smooth on putts. They had perfect surfaces and very true. However, they did have the green dye/fertilizer on them, so they had a fake green tint to them and it kind of looked lame. The tee boxes and fairways seemed to have been aerated somewhat recently. They looked good, but the surfaces were just a bit sandy and the bermuda turf wasn’t quite as ideal on top. 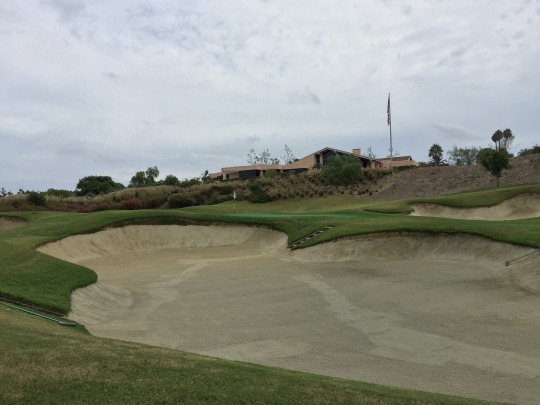 I always had good lies and things were consistently kept throughout the course, but the sandy turf took some adjusting to get used to. I would guess in another few weeks, they will be fantastic and you can tell they generally are well-kept here. The bermuda rough was very good and consistent. Not too long or penal, but enough to make you work. I was in a couple bunkers and they had good sand. All in all, I was very pleased with this visit to The Farms. 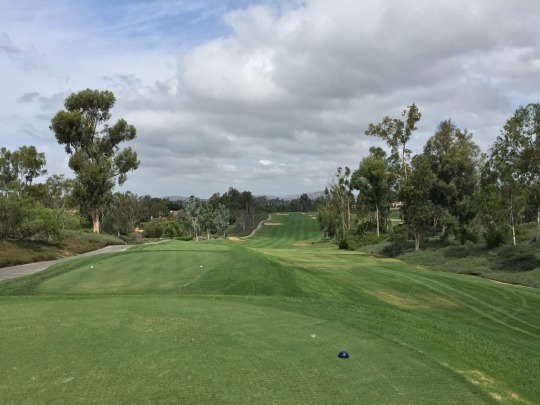 It’s definitely a course worth checking out if you get a chance to play it, and so far it’s my favorite in the Rancho Santa Fe area. 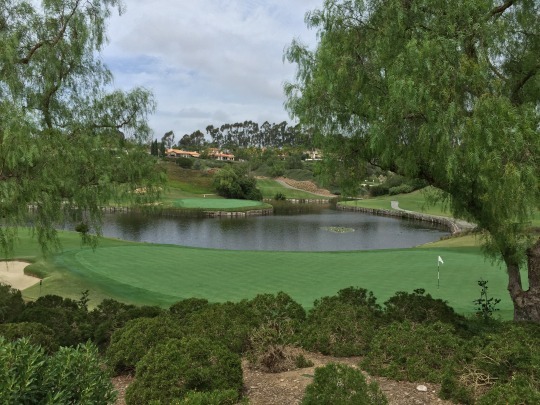 Of course, I have The Bridges and Rancho Santa Fe Golf Club coming up pretty soon and we’ll see how things really measure up after those. 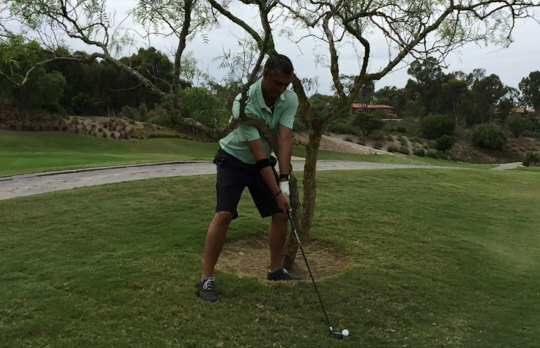 Last but not least, I had to highlight this clever recovery shot attempted by one of my playing partners, Adriano. He embraced the branch of this small tree and actually made a really nice shot down the fairway. He narrowly missed his par putt after this great recovery. It was fun to watch.